The wonderfully Renaissance-esque Il Bottaccio on Grosvenor Place made for an opulent venue for a collection rich in colour and mood for Ashley Isham’s SS12 collection. With fans ranging from Christina Aguilera to Lady Gaga, Ashley is known for strong tailoring and beautiful draping, with an obsessive attention to detail. I went along to the test shoot the Sunday before the show to work with Ashley, stylist Anna Trevelyan [check out her blog here – definitely worth a read] and make-up artist Jo Frost on creating a beautiful, smouldering and baroque-inspiring look that would compliment the collection. My aesthetic focuses on beautiful, expensive looking make-up with an edge. Ashley uses a lot of embellishment on his collections and this was no exception, I looked through samples and got very excited by an intricate lazer-cut leather piece and suggested using something similar in the make-up… using a stencil echoing tattoos on the face toughened up the look to give a challenging edge. What was the corner stone of the look? Ashley booked me for the show because of the gorgeous, luxurious skin that I’m known for so that was always going to be essential to the look. The creamy textures and luminous quality of the make-up was a modern take on Marie Antoinette and was created by layering Illamasqua’s creamy Medium Pencils, Cream Pigments, Cream Blushers and Liquid Metals with Pure Pigments and Powder Eye Shadows. The look balanced soft romance with the fierceness of the baroque tattoo design that I developed just for the show. 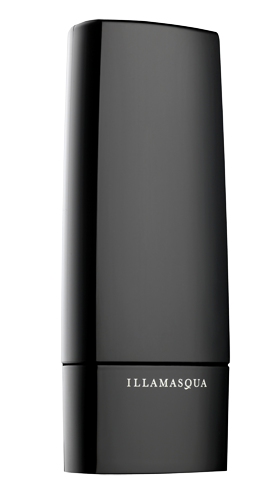 What was your favourite piece from Illamasqua to use and why? I really loved the Gleam Cream – it was used as a highlighter in all the right places on the face as well as the body. 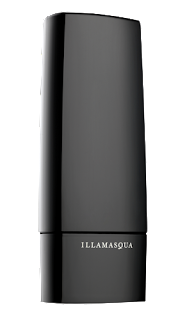 Illamasqua’s textures and formulations are fantastic to work with as most of my make-up involves layering product repeatedly to give perfect blending that gives an illusion of hyper-real skin. Silk dresses and cut out leather were the stand out materials, showcased in a variety of cuts that glided over the models as they strutted the catwalk. And the highlight? A burst of gold tickets at the end as the models lined up for an encore. The neccessary talent of walking in sky high platforms has never been needed more – I held my breath that they would strut their way over the [slippery looking!] gold tickets on the floor and luckily we didn’t have any models down!